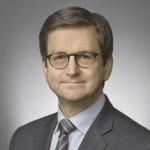 Craig D. Martin is a partner at Morrison & Foerster LLP. Mr. Martin’s practice includes representing clients in SEC enforcement and DOJ matters, corporate investigations, and private securities litigation. In the last five years, Mr. Martin has conducted more than a dozen internal corporate investigations involving complex accounting and disclosure issues, whistleblower claims, and potential violations of the Foreign Corrupt Practices Act (FCPA). Mr. Martin serves as personal counsel for executives and directors in SEC and DOJ matters involving allegations of accounting fraud, reporting failures, and insider trading. He also represents issuers and individuals in private class and derivative actions in state and federal court, as well as in other types of complex litigation. In addition to his practice, Mr. Martin currently serves as a firmwide Managing Partner. Mr. Martin served as an enforcement attorney in the SEC’s San Francisco office from 1999 to 2002. During his tenure at the SEC, he worked closely with attorneys and investigators from the DOJ on both financial accounting fraud and insider trading matters, and investigated numerous violations of the federal securities laws, including financial accounting fraud and audit failures. Mr. Martin also brought one of the largest insider trading cases in SEC history, in which 15 individuals were charged with illegal trading. Mr. Martin is recognized by Best Lawyers in America for his experience in Corporate Compliance and White-Collar Criminal Defense and is listed in Benchmark: The Definitive Guide to America’s Leading Litigation Firms & Attorneys as a “Litigation Star” in California for White-Collar Crime. He is also recommended by Legal 500 US for his work with clients in the renewable/alternative energy industry. Mr. Martin is regularly quoted in such publications as the Daily Journal, The Recorder, and GC Magazine. Additionally, he has spoken about internal investigation procedures, securities litigation and enforcement, corporate governance, and compliance with the FCPA to, among others, the Practising Law Institute, the Institute for Corporate Counsel, the Institute of Internal Auditors, the National Society of Compliance Professionals, the California Bankers Association, and the Association of Corporate Counsel. Mr. Martin earned his B.A. in 1990 from the University of California, Berkeley. He received his J.D. from Stanford Law School, where he was an Associate Editor of the Stanford Law Review.